The beauty of a woman lies in her hair. The length, the style and the texture of a woman's hair affect her facial features. Classic and trendy women's haircuts and hairstyles change the look from something simple to an elegant and unique look. Women have always been possessive about their hair and the hairstyle. Women's hairstyles and hairdos keep on changing with time with a vast range of hairstyles from short to medium and long hairstyles. Short haircut denotes business and career for women. In 1960 short haircuts were used by Twiggy as a symbol of women's liberation. Thereafter most of the women into some kind of business or service started keeping short hairs because women's short hairstyles are easier to manage and convenient to style up. Styling up these hairstyles requires less time and hence women can cope up with the time as well as quality and standard. There are various short hairstyles for women that provide stylish, glamorous and young look. 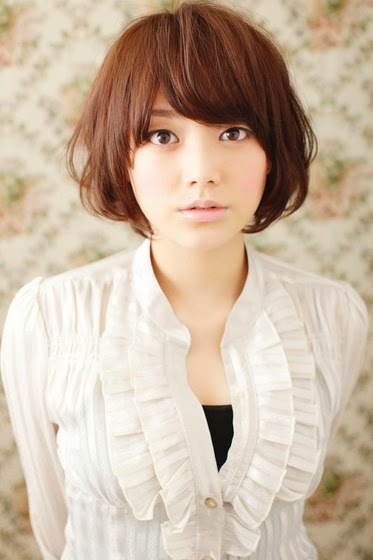 The most popular short hairstyles women prefer are bangs, choppy cut, bob cut and pixie cut. Many women also prefer medium length hairstyles that match their particular needs and occasions. In a wide selection of top-notch medium hairstyles some of the most popular hairdos include layers, bun, simple flow down, shag, French twist, perm and bob. A woman with long and beautiful hairs usually becomes envy of many women. Long hairs have always been a statement of beauty, feminine and romance. Women can style up their long hairs in as many styles as possible but the best and the most popular is layers with different styles and variations.